It seems like you just bought the aerosol blue shaving gel. It was cheap, yeah, but now it’s all used up within a few weeks. This is called Planned Obsolescence – a trick of intentionally making a consumer good require replacing from its short product lifespan. You enjoy eating out, getting a massage, or attending a concert. These experiences are gone faster than you would like and at an expense. It wasn’t a need but a want. Think about this as investing in yourself. When we think about the needs of personal grooming, like shaving, we easily fall into the trap of cutting costs, looking for cheap, for easy. Cheap and easy, it turns out, is using a shaving soap that lasts, gives an experience, and contains a natural formulation for thick, creamy lather. After all, this is your face we are talking about. Shaving cream and foams from aerosol cans are cheap because of low quality ingredients used, intended to maximize profits without much benefit for the customer. Artificial ingredients like propylene glycol is a known skin irritant that is used in other products like antifreeze. No good for the face. One tin of Alluvian Shaving Soap will last a year. One year. How about that for longevity? It is intentional to provide value to the end user, you and me, allowing the experience to last. Natural ingredients like kokum butter and mineral rich Irish sea moss yield skin that is more supple and balanced. Distillations of plant extracts provide unique aromas that have depth, unheard of in commercial varieties. Essentially, it's a facial, aromatherapy treatment plus a shave. 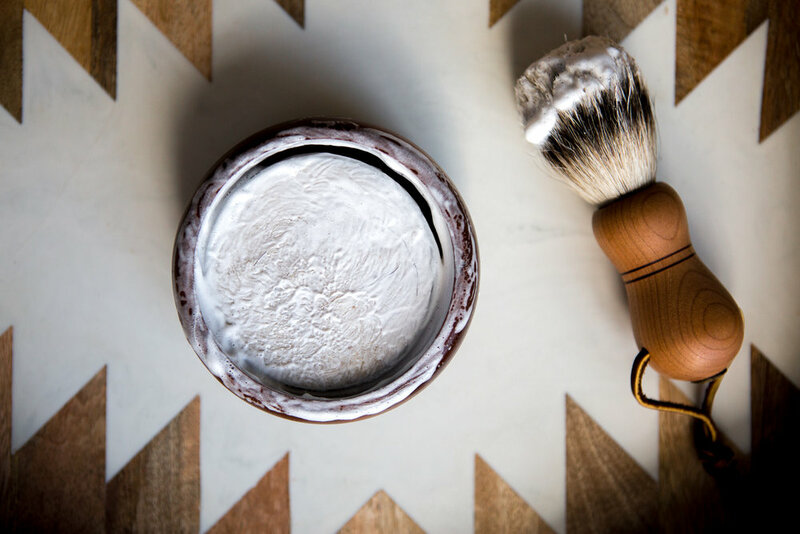 This specific combination of premium ingredients, formulation, exceptional performance, and longevity make Alluvian Shaving Soaps among the best in value grooming products for men. It truly offers real value.